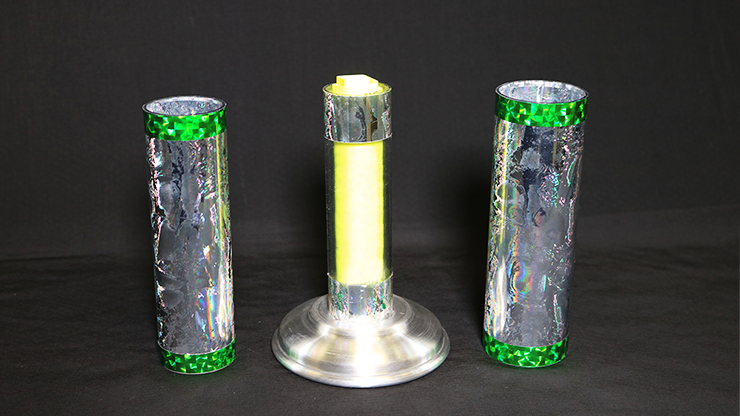 This is a small version of the classic Crystal Silk Cylinder. Show a transparent tube empty, and place an item inside. Cover it with a second tube, and cover those with yet a third tube. Say the magic words, and voila! The tube's contents have now changed into something else! This really looks great, and will leave your audience scratching their heads in wonder!